BodyWise Foundation offers trauma-informed yoga programs, professional trainings, and international aid to facilitate healing trauma. We provide trauma recovery through trauma-informed yoga, and we recognize the body's unique role in healing. Our Baltimore-based nonprofit organization is dedicated to a larger conversation, recognize the body’s unique role in healing. We launched three professional trainings: a 50 hour Trauma Informed Yoga Teacher Training, a Professional Development training for school teachers, and a CEU training for Mental Health Providers. We partnered with agencies to provide free trauma informed yoga programs. We implemented a pilot program for our research study in conjunction with the VA.
We expanded to 10 more cities. We continued building professional trainings. We our implemented a second panel of the research study. Employ our international aid program. Partner with the BodyWise Institute to create a 1,200 hr Trauma Informed Yoga Therapy Program and 3 year intensive Body Centered Psychotherapy Program for Clinicians. We don’t believe in NDAs, non-competes, or other tactics that stem from fear versus inspiration. We focus instead on what we are doing and how we are contributing. Lighting one another up. A candle loses nothing by lighting another flame- there is just more light in the world. We support and foster self-development and self-care. We understand the innate possibility in our facilitators, clients, students, and teammates. When there is water and sunshine they can grow into trees that make a difference in the world. We now understand that exposure to adverse events affects brain development, as well as a person’s health projections. We take stock in the research that demonstrates building trusting relationships improves health outcomes and brain function. We are tirelessly dedicated to growing the size and intimacy of our community. Dedicated to honoring the body's inherent wisdom and impulse towards wholeness, Eleanor is a trauma specialist known for powerful facilitation and creating sacred space. She completed a graduate program with Kensis, trained under Dr. David Berceli, and trained with Dr. Bessel Van der Kolk and Joe Emerson of the Trauma Center at the Justice Resource Center. Eleanor is a Certified Trauma Specialist through Trauma Institute International and a certified TRE (trauma releasing) provider. Currently, Eleanor is completing a three-year trauma residency with Dr. Peter Levine in Somatic Experiencing. Committed to contributing to a larger conversation, Eleanor founded the BodyWise Foundation and the BodyWise Institute. Wrenna has a diverse educational background, with five degrees spanning the social and natural sciences, including a Masters in Sociology and a Masters in Plant Chemistry. Wrenna has worked in diverse settings, leading action in support of marginalized populations, undertaking research on the linkages between human and ecosystem health, teaching research methodologies to university and college students, and is currently leading Gender-Based Analysis for Natural Resources Canada. She is also leading an innovative HR project aimed at increasing diversity and inclusion in the recruitment and development of policy analysts and research scientists into the Department. Wrenna has been an attentive student of her own body’s wisdom since she was a child. As a dancer, she learned of her body’s extraordinary ability to heal emotional wounds through conscious movement. She has made yoga and meditation a dedicated practice for the past two decades. Wrenna is currently on the path to being a registered 5 Rhythms dance instructor. Ericka Leonard is a clinical therapist, and certified yoga teacher. She currently works with women and children to address trauma caused by domestic violence, abuse, and human trafficking. Ericka is also a trained educator, and has worked with diverse populations in various school settings. Ericka serves as a training facilitator and oversees our Energy Exchange Program. Jessica brings a depth of experience to her leadership with BodyWise Foundation. She draws from her experience working in clinical research at Johns Hopkins University, managing teams within the communications field, and co-creating and managing a donation-based yoga organization to guide the BodyWise team toward growth and sustainability. Jessica is co-founder of Pop Up Yoga Baltimore, an LLC that provides donation-based yoga to the greater Baltimore area. She is also an experienced writer, editor, yoga teacher, reiki master, meditation teacher, and staff facilitator in 200-hour yoga teacher trainings. Over the last 15 years, through yoga, skiing, and scientific research, Sara has sought to understand how the mind and body react to both everyday and extreme stress, as well as how to heal the mind and body from these experiences. Sara has specialized experience teaching children and adults on the spectrum, visually impaired, amputees, veterans, TBIs, and individuals overcoming PTSD. Sara's developmental neuroscience research has examined the neural underpinnings of threat processing in the brain from childhood thru adulthood. Sara has conducted research at the National Institute of Mental Health, University of Maryland College Park, Brown University, and currently works as a Postdoctoral Researcher at Uppsala University Child and Baby Lab in Sweden. Katherine is a Licensed Master Social Worker and yoga teacher who is passionate about sharing the calming, therapeutic benefits of mind-body-breath connection. In her role as Director, Continuing Education, Katherine brings experience in non-profit logistics and project management. Along with supporting BWF’s continuing education programs, Katherine is Clinical Care Coordinator at an Employee Assistance Program in Baltimore. Married to a police officer and volunteer firefighter/EMT, Katherine is personally invested in BWF’s mission to bring trauma trainings to professionals on the frontlines of trauma. When she is not in the yoga studio, Katherine enjoys traveling, taking walks, organizing, and spending time with family and friends. April is a nationally certified school psychologist, internationally certified yoga therapist, and a somatic experiencing practitioner in training. April currently works as a school psychologist in New Jersey, teaches trauma-informed yoga classes, and runs a private yoga therapy practice for individuals recovering from trauma. She is a contributor to our Trauma Informed Yoga Teacher Training and our Trauma Sensitive Training for School Teachers. April facilitates both trainings and sits on our Board of Directors. Erin is a Licensed Certified Social Worker- Clinical, with a psychotherapy private practice in Baltimore, Maryland. Her work combines insight-oriented talk therapy with mind-body focused interventions such as mindfulness, meditation, and somatic components. Erin is currently completing her 200 hour yoga teacher training, and utilizes a holistic approach to wellness and healing. She obtained her Bachelor of Arts Degree in Psychology from McDaniel College, and Master of Social Work from the University of Hawaii at Manoa. She holds an advanced trauma practitioner certification through the Ferentz Institute. Erin oversees our Energy Exchange Program, which provides work-trade opportunities to those with demonstrated need to complete the Trauma-Informed YTT. Summer brings over 13 years managing, building, training, and empowering team members to our organization. She is committed to living with deep integrity, in alignment with her moral compass, and responding to all living beings with kindness. Summer felt an immediate resonance with BodyWise because our company was founded with service and growth as core values. She has worked in the non profit sector for over 15 years. Her dedication to supporting the journey of growth is palpable simply being in her presence. Kirsten holds a Masters Degree in Dance and Research from American University in Washington, DC. Kirsten also is the Executive Director of an international cultural heritage non-profit which specializes in dance preservation. Her professional dance career spans over 10 years during which she performed with such companies as The San Francisco Ballet, David Dorfman and Heidelberg Ballet. She has held positions at The Library of Congress, Dance Heritage Coalition, and various adjunct professorships at American University Cairo, University of Oregon, University of Hawaii and many more. After much physical trauma sustained in a car accident Kaye dedicated herself to exploring the connection between movement, trauma recovery, non-violent solutions, and community building both internationally and locally. She has found sanctuary in her yoga practice and teaching. She is a certified yoga instructor currently teaching Hot Yoga, Vinyasa, Yoga Nidra and Trauma Informed Yoga..
Leandra is a passionate filmmaker, photographer and creativity enthusiast. Her drive to be a filmmaker developed while living in Belgium - this love for traveling has brought her to creating visual narratives that tell an authentic story about our human connection. Having worked in commercial to finance sectors of video production, she offers a diverse understanding of the visual storytelling world. She is eager to dive into working with Bodywise Foundation and helping grow this mission though storytelling in an evocative and creative way! Livia is the pioneer of the Yoga-Informed Psychotherapy trainings and is dedicated to the integration of neurobiology, somatics, yoga and psychotherapy practices in the healing of addiction, eating and mood disorders and the often underlying acute and chronic traumatization. She is a licensed Clinical Social Worker holding a Masters of Social Service and Administration from the University of Chicago. 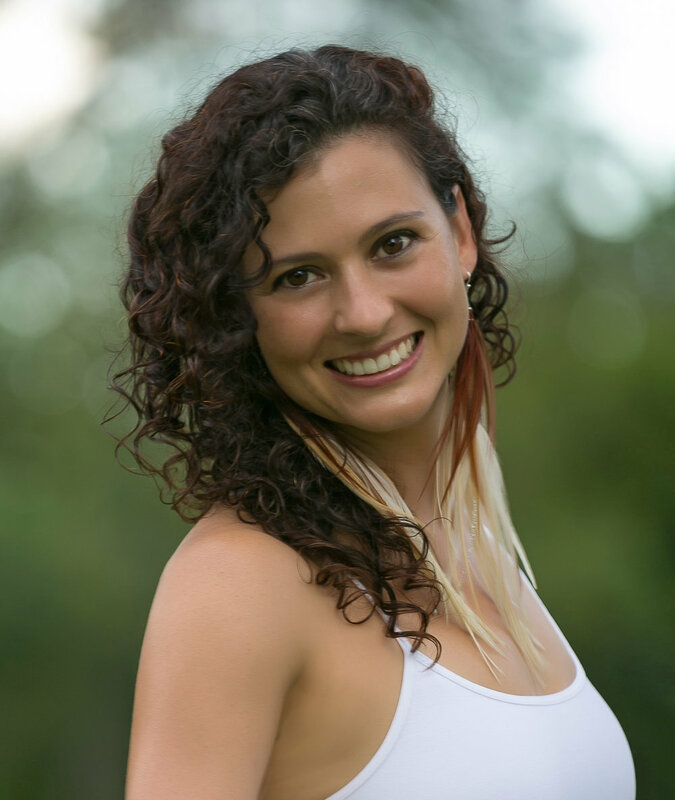 Livia is also a Certified Yoga Therapist with the International Association of Yoga Therapists and a Somatic Experiencing Practitioner. She is clinically trained in Dialectical Behavioral Therapy (DBT), Acceptance and Change Therapy (ACT), Somatic Experiencing (SE), Dialectical Behavioral Therapy- Prolonged Exposure (DBT-PE), Exposure and Responsive Prevention Therapy (ERP) and anti-oppressive psychodynamic psychotherapy. Livia completed a two-year residency at the Himalayan International Institute of Yoga Science and Philosophy where in 1999 she was initiated into the tradition of the Himalayan Masters. She has completed over a decade of advanced and therapeutic Yoga certifications along and becoming a Reiki Master in 1998. She is deeply influenced by the mindfulness trainings that she has received from Vietnamese Zen Monk, Thich Nhat Hanh. Lauren is the owner and director of Going to Thrive, a Baltimore based holistic outpatient mental health practice that incorporates yoga, mindfulness, and other somatic therapies. She also teachers workshops and trainings on trauma and the body, mindfulness, and yoga nidra. Lauren is trained as an Ayurvedic Yoga Specialist through the Himalayan Institute, a Yoga Nidra facilitator through the Amrit School of Yoga Nidra, and a Lifeforce Yoga instructor. Lauren specializes in trauma sensitive yoga as well as yoga for depression and anxiety. Lauren holds an advanced trauma certification through the Ferentz Institute. Lauren believes that to truly heal talking about one’s experiences is not enough. One has to address the entire being-body and mind. Christine K. Dance, MSEd/E-RYT 500/YACEP, focuses in yoga for special populations, including School-Based Yoga, Trauma Informed Yoga, and Adaptive Yoga. With advanced degrees in psychology and education, Christine focused her early career years teaching in public and non-public settings and working with families in crisis. In her first year teaching at Kennedy Krieger Institute, Christine discovered the immense power yoga had in regulating emotions of children with developmental and emotional disabilities. Christine went on to pursue yoga teacher training programs while continuing to work with children and families in crisis through local and state funded organizations. Owner of Resilience Yoga, LLC, Christine provides trainings to schools, mental health professionals, and special centers on trauma and trauma informed tools for regulating emotions and managing behaviors in center-based settings, creates customized yoga programs for special centers, and provides direct and indirect services to those organizations. In addition, Christine teaches psychology at Howard Community College, and is inspired to continue working in the field of trauma and special populations. Laura began immersing herself into the healing world of conscious movement practices during the tender years of her adolescence. Her own path of embodiment naturally flowed into a multitude of personal and professional endeavors including multiple yoga teacher training programs for power yoga, trauma-informed yoga, and partner yoga. Simultaneously, she studied psychology, language, and family systems eventually earning her Masters in Marriage, Couple and Family Therapy in 2016 through Lewis and Clark in Portland, Oregon. Currently, she studies somatic-oriented approaches to individual and family psychotherapy and incorporates a relational, developmental trauma approach into her private practice and contracted work through the Child Welfare system. Currently living in Seattle, Washington, she enjoys writing poetry, playing with watercolors, hiking, skiing, climbing, and dancing. Cultivating conscious community spaces in various contexts is also a huge passion for her. Elisabeth Gambino has been a registered yoga teacher with certifications in vinyasa and hatha yoga since 2007. In addition, she regularly advances her study with retreats at Kripalu and Sivananda ashrams. She has studied various forms of yoga and has been teaching yoga since 2007. Currently serving as Program Chair of Visual Arts for Bard Early Colleges, Elisabeth has been teaching in Baltimore City Public Schools working with at-risk populations of students since 2006. She worked for four years with level five emotionally disturbed elementary school students, and has extensive training in social justice oriented restorative practices for conflict resolution. An alumna of the School for International Training, she earned an undergraduate concentration in the arts for social change, international studies, and writing. She holds an MFA in Illustration, and an advanced professional teaching certification. She is an internationally recognized teacher and interdisciplinary curriculum planner, has trained teachers through Arts Every Day, Baltimore City, Bard Early Colleges, and has completed numerous fellowships with National Geographic, Earthwatch, and Fulbright Hays. She is passionate about educating for social engagement and environmental conservation through visual arts classes. Elisabeth came to yoga to heal a nerve injury due to thoracic outlet syndrome, and her yoga classes feature a deep attention to alignment, strength building, and breath. She supports students in developing a personal practice that they can maintain throughout their life. Tamara grew up in Colombia with a passion to nurture and protect life. She studied Veterinary medicine in Bogotá and after a few years working on wildlife conservation projects in the Colombian jungle and zoos in the USA, she came to UC Davis for her graduate work in epidemiology and comparative pathology. Parallel to her science career, she has been dedicated to yoga and spirituality practices since she was a teenager. Yoga has shaped her life and the way she cares for her self, cultivating mindfulness, loving attention and joy in every simple act of life. Tamara is very passionate about sharing yoga, helping and supporting others to find peace, comfort and loving acceptance of their own bodies and inner worlds. Today her focus is partner practices such as AcroYoga and Thai massage. She believes partner practices offer a safe space to fulfill our needs for human contact, heal our sense of separation, learn how to communicate with kindness and feel empowered by trusting and lifting each other. Originally from Ireland, Doireann Renzi earned her PhD in Human Development from the University of Maryland, College Park in 2018. Specializing in interpersonal interactions and the importance of communication, Doireann lends her research and measurement experience to Bodywise Foundation's efforts to lend evidence-based support for the importance of Trauma Informed Yoga as part of the healing process. Doireann has been a domestic violence volunteer since her time in college back in Ireland and is a deeply passionate yogi, which played a part in her own journey of healing, growth, and self-acceptance. By helping Bodywise, Doireann hopes to fuse her passions and skills to aid others in discovering the power of healing practices for recovery, facing trauma, and renewing self-trust. When not yoga-ing, researching, or working with Bodywise, you can find Doireann baking, drinking tea, and hiking in and around Washington DC with her husband and 2 cats! Phillip R. Ludwig, PhD, LPC-Supervisor is a caring professional of the healing arts. His studies and interests are in the experiences of human spirit, body, thinking, behaving, and the consequences of human experiences. The building and maintenance of Karma shapes human experiences. He uses this knowledge in his role of shaman and scientist. Dr. Ludwig lives in Central Texas with his wife and child. He enjoys engaging spirit through Yoga, Aikido, and communing with nature (e.g. camping, hiking, rock-climbing). He lives his practices and practices his awakenings. He takes these experiences into his roles as husband, parent, and shaman. Currently, he is working with veterans and their families in public mental health and through his yoga non-profit From Wounded 2 Warrior. Delta has ten years of experience working on interdisciplinary research teams and with local non-profits, with expertise in community-based research. She has experience working in the context of natural disasters and emergency management from multiple perspectives, including experiences as a disaster preparedness trainer, medical first responder, emergency shelter manager, disaster social worker, recovery professional, and researcher. She has a Ph.D. in Geography and Environmental Systems with a focus on hydroclimatic variability and community resilience. Alex holds a Masters degree in Public Health and has a desire to help improve health outcomes in impoverished communities around the world. Alex worked at Louisiana Public Health Institute, where he helped implement laws to benefit the health of public through policies banning smoking in bars and gaming establishments. Through his studies, Alex has obtained a highly critical eye for peer reviewed research. This allows him to decipher between articles that create conclusions using sound research methods and weak articles that should be dismissed. Through his yoga practice, and his love of extreme sports, Alex values the powerful benefits that can be achieved through a strong mind-body connection. Elizabeth Ringler-Jayanthan is a licensed social worker and has focused her work on healing trauma. She has worked extensively with survivors of forced migration including refugees, asylum seekers and survivors of human trafficking. She is a graduate of the Harvard Program in Refugee Trauma Certificate program. Elizabeth recently completed the TCTSY-F Certification with the Center for Trauma and Embodiment. Elizabeth has also worked extensively with survivors of gender-based violence and has facilitated support groups for immigrant women that have experienced intimate partner violence, as well as other forms of gender-based violence. Elizabeth is passionate about utilizing mind body approaches in work with her clients, particularly mindfulness, trauma-sensitive yoga, and integrating nature into her work. Shira has always been committed to the arts, conflict resolution, and social justice. In her career as a Licensed Clinical Professional Counselor she incorporates trauma informed practices, resiliency work, and dance/movement therapy with children, adolescents, and families. She understands the power of movement and how it can lead individuals through expression, and healing. She is a current candidate for the Trauma Studies Certificate from the Trauma Center at the Justice Resource Institute. Bri is a Co-owner of 4 local Outpatient Mental Health Clinics in Maryland. She received her trauma certificate from University of Maryland in 2013 and uses trauma informed therapy when practicing. She believes in resiliency and that healing comes from the work we put into ourselves. Through the use of therapy, yoga, and meditation, Bri believes that one can improve their mind, body, and spirit. Keeley is a student at the Maryland Institute College of Art and will be getting her bachelors in graphic design this spring. Her work mainly deals with bringing to light problems most veterans encounter, like homelessness and education. She is inspired by her brother who is a United States Marine. She is also inspired by the natural world, which brings an organic feel to her artistic works. Fred is a veteran, having served with the USMC and retired from the USCG in 2013 after 22 years of honorable service, and yoga instructor who is committed to being of service helping empower others find a sense of inner peace and stillness and cultivate a more positive relationship to one’s own body. His experience with body-based healing modalities began with yoga in 2008, 2 years into his own recovery from trauma and alcoholism. Fred has since completed a 200hr yoga teacher training and a 300hr training in Prana Vinyasa. His specialized trainings include; Yoga of 12-Step Recovery, Yoga for Trauma & PTSD, Mindful Yoga Therapy, Yin Yoga, and Thai Bodywork. Fred is currently completing the 300hr Trauma Center Trauma-Sensitive Yoga Facilitator Certification Program and is the MD Area Manager for the Veterans Yoga Project, a national non-profit organization. Bill is one of the top yoga photographers in the world, his images can be seen in a diverse collection of print and online publications including Travel & Leisure, Yoga Journal, Yoga International, and Traveler Magazine, as well as the coffee table book he authored. Bill recognizes the power of yoga in his own life and is an active student of yoga philosophy and meditation. His dedication to be of service in the world has guided him to support others in their healing journey through yoga. Daphne was director of Montana KIDS COUNT at the Bureau of Business and Economic Research at the University of Montana. Although semi-retired, she still writes research papers and policy briefs on issues important to children and families in Montana. Her fundraising experience encompasses raising funds for national and statewide groups. She developed coalitions and trained community leaders to work with poverty, hunger, disabilities, and homelessness. Her work in Montana included conducting process and qualitative evaluation of diverse projects on early childhood, substance abuse and transition to work programs. Jane Fryer E-RYT 500, progressively and passionately recognizes the profound power of restorative yoga to heal trauma. Her trainings weave scientific study into the restorative journey, more deeply empowering future teachers. In her 35 years teaching yoga, she has become known as an elder, wise woman, and guide. In that time she has trained hundreds of teachers, mentored upcoming leaders, and shifted many paradigms. Karen is passionate about supporting her clients in long-term wellness. She was drawn to yoga in her own personal journey healing trauma. She believes that the ability to heal is available to each being, and contained within. We are lucky to have Karen on our team, she helps us navigate social media, marketing, and out reach strategy. Laura C. Cannon is a spiritual teacher, entrepreneur, speaker, and author, with a deep passion for the awakening consciousness. Her book, The Conscious Entrepreneur, is a collection of practices and perspectives for entrepreneurs and businesspeople to change their relationship with their working life. Ordained as a nondenominational minister in 2003, she has been ministering and coaching individuals and couples for over a decade. She leads meditations and Satsang as part of her Soul Community Church, in Columbia, MD. Laura holds a B.S. from Towson University and an M.A. in Human Sciences (Psychology) from Hood College with a specialization in Thanatology and Grief Counseling. A lover of all things that blend the practical and the spiritual, Laura is also a 200hr RYT yoga and meditation instructor. Her blend of practical business management and finance skills, along with her commitment to healing trauma through the body, makes her a perfect fit for the BodyWiseFoundation team! Kameron Wilson is the VP of Wilson Logistics, one of the largest logistics companies in the US. Kamo thrives on the satisfaction and prosperity of his employees, customers and community. A natural leader, he is charismatic and genuinely cares for those he works alongside. He is gifted at recognizing the strengths in his team and supports them in roles where they can shine. His background in business management, team leading and building, and fiscal planning; enable him to guide the BodyWise Foundation team as we grow. Becca Cerra encourages her students to use yoga as a tool to practice self-love and develop a positive body image. In addition to practicing and teaching yoga and thai bodywork, she is a sculptor and choreographer and her work is a catalyst for body positive revolutions. She has been a guest writer for teen development specialists and body image experts, won the International Association of Eating Disorder Professional’s Art Competition, served as a mentor for the LGBTQIA community, and held community-based programs combating violence against women. We are looking to work with individuals who are as passionate as we are when it comes to helping others heal. Contact Us to learn more about open positions.